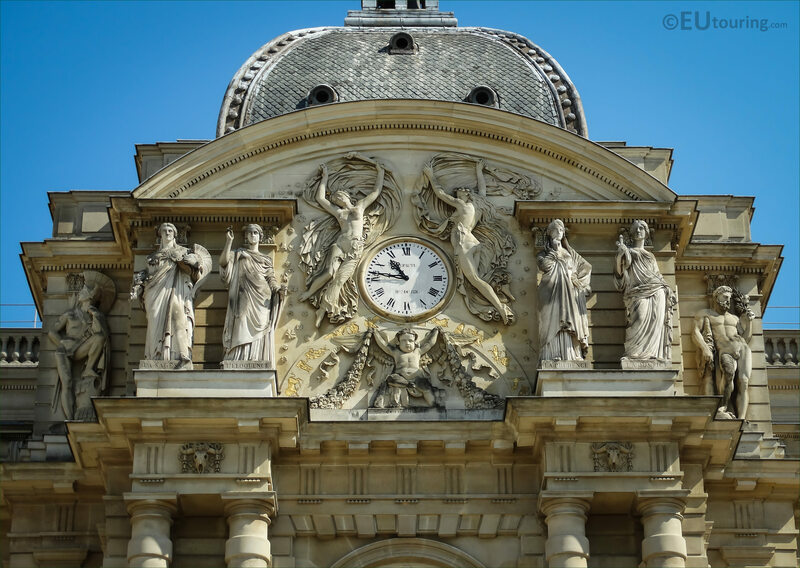 This time while were admiring the facade of the Palais du Luxembourg located within the gardens in the 6th Arrondissement of Paris, we took these high definition photos showing a statue called La Guerre by James Pradier. La Guerre is actually an allegorical statue produced in high relief, and in English this translates to The War, usually just referred to as War, which as you can see from this close up HD photo, depicts a warrior resting his leg on part of his body armour. Now this was one of the decorative art works that was commissioned for the Palais du Luxembourg during the reign of King Louis Philippe I, which was when the palace was extended and the gardens called the Jardin du Luxembourg were also redesigned and started to be adorned with many statues. 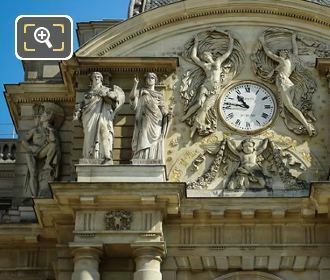 So this particular photograph show the whole of the top part of the Palais du Luxembourg facade on the south side, which was all sculpted by James Pradier between 1840 and 1841, and La Guerre statue depicting War can be found to the very left hand side. 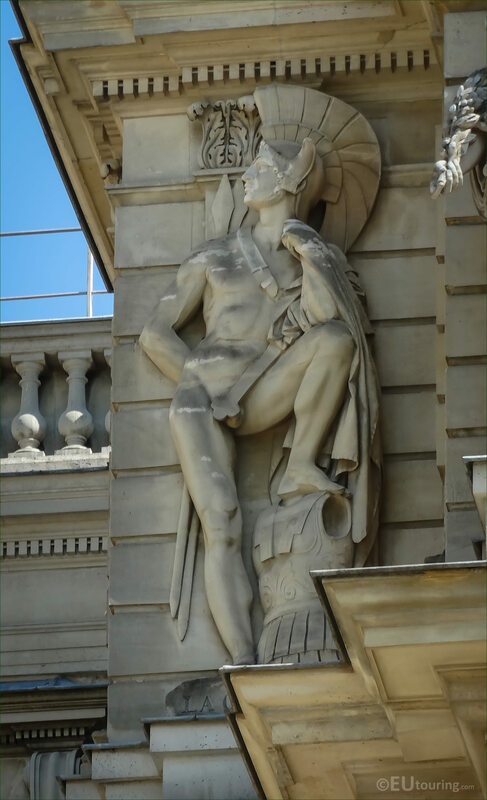 And born Jean Jacques Pradier to a French family residing in Switzerland, he moved to Paris to work with his brother, and becoming a French sculptor he started presenting works at Paris Salons, which led to James Pradier, as he is known, winning the Prix de Rome. This meant he received numerous commissions including the Victory statues that surround the Tomb of Napoleon at Les Invalides, along with many other statues in Paris, yet he also produced several funerary sculptures for tombs that can be found in numerous chapels throughout France, plus much, much more during his very successful career.